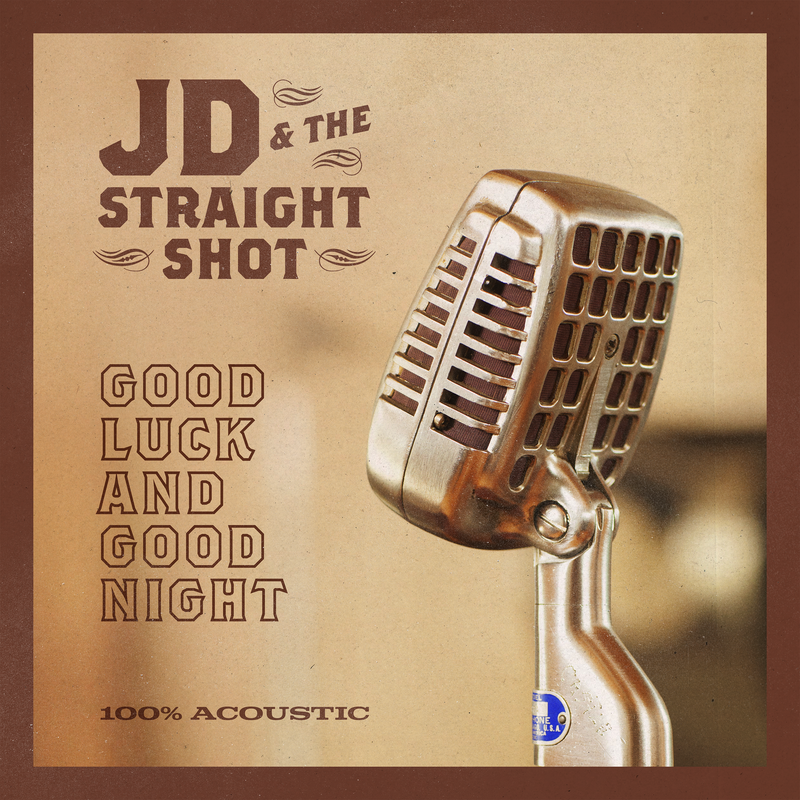 JD & The Straight Shot have a new ten song album out called “Good Luck And Good Night.” They continue to record all acoustic material – their signature sound. JD&TSS is comprised of vocalist/guitarist Jim Dolan, guitarist Marc Copely, bassist Byron House, violinist/fiddler Erin Slaver and drummer/percussionist Shawn Pelton. “Redemption Train” opens up the album and is an upbeat tune about a somber train ride. JD and Slaver’s blended vocals create such a smooth tone. The song does create an imagery of a train running down the tracks at night. “Ballad Jacob Of Marley” is another knee slapping tune, thanks to the pickin’ of the banjo. JD starts off “Moonlight” slow and then picks up speed halfway through. Probably the best song is the first single from the record, “Run For Me.” It starts off string scratching and then transitions into a Celtic tune. It makes you want to get up and start dancing. There is a cover of Three Dog Night’s version of “Shambala.” This is just a magnificent remake of the classic tune. It suits JD&TSS perfectly. JD & The Straight Shot continue to pave the way with their unique sound. This is their sixth studio album. The acoustic approach is working wonders with their sound. They know who they are, musically, and will continue down that path.